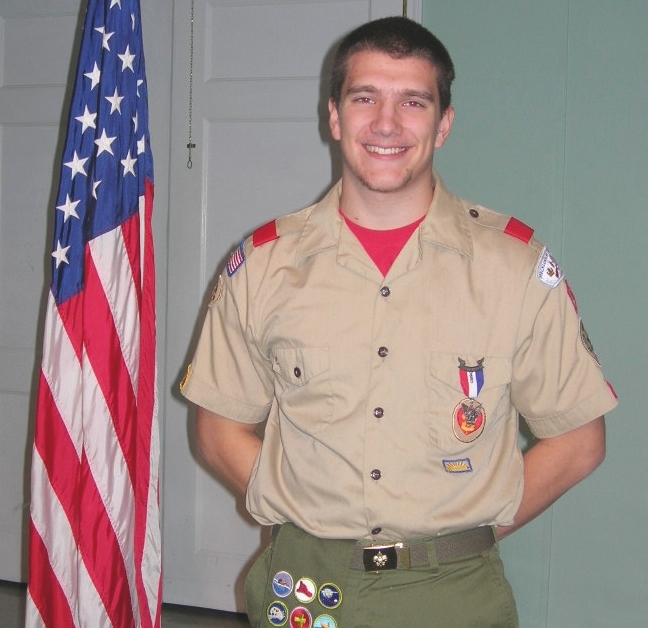 (January 10, 2006) William Clyde Lindsay is Troop 45's newest Eagle Scout. He was presented the Eagle Scout award at a special ceremony held in his honor on December 14, 2005. The Eagle award is the Boy Scout's highest honor awarded to a youth, and only about 4 percent of the boys who enter the Scouting program ever earn this award. As part of the requirements for Eagle Scout, William was required to complete a community service leadership project. For his project, William planned and led the effort to repair and paint the exterior of a meeting lodge for the Girl Scouts, located in Spencer, North Carolina. William graduated last year from Olympic High School and is currently a freshman at North Carolina State University.